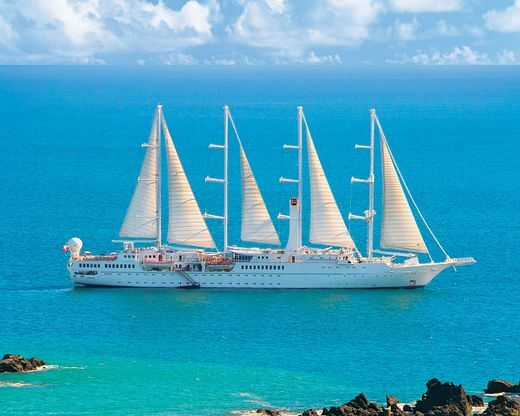 Escape winter and bask in the legendary warmth and pristine beauty of Tahiti and five other evocative South Pacific islands from aboard a four-masted sailing ship. The trip exceeded my expectations. I chose Smithsonian because my friend and travelling companion had been with them on a trip down the Nile, but I had no idea how wonderful this trip would be. The InterContinental Resort Tahiti is the perfect place to begin your visit to French Polynesia. The 107 guest rooms offer sweeping views of Tahiti’s natural beauty and the expansive grounds include the Aquatica Dive Center, Lagoonarium, private beach, pools, tennis courts, and 30 acres of gardens. Papeete’s museums, shops, galleries, market, and nightlife are only a short drive away. Expectations: This ocean-going cruise requires using smaller boat conveyances to get to shore for excursions, although the ship may also pull into a pier for embarkation and disembarkation. Two-night hotel stay in Papeete. Flexible schedule featuring one included excursion at each port; other optional excursions are at the traveler's discretion (additional cost); kayaking and snorkeling are included options. Extended walking (up to three hours) likely during excursions on possibly difficult terrain (sandy trails/beaches, muddy/slippery nature/walking/hiking trails, cobblestones, stairs without handrails, limited or no access to elevators), walking to city centers where coaches are prohibited. Smaller boats/canoes also used for some excursions. Extend your sojourn in French Polynesia with two nights in a Five-Star seaside resort hotel on Mo’orea, providing an authentic Polynesian experience. Enjoy magnificent, expansive ocean views from your deluxe beachfront or overwater bungalow. Observe the abundant marine life on a reef excursion, dine in one of the island’s gourmet restaurants for the exotic flavors of fresh local seafood prepared with French Polynesian flair, or enjoy the resort’s dolphin center, sea turtle clinic and a wide array of watersports and white-sand beach. This resort option includes breakfast daily and round-trip ferry rides between Tahiti and Mo’orea. Paul Gauguin fled what he called "filthy Europe" in 1891 to what he hoped would be an unspoiled paradise, Tahiti. He painted 66 magnificent can vases during the first two years he spent there and kept notes from which he later wrote Noa Noa — a journal recording his thoughts and impressions of that time.Noa Noa — the most widely known of Gauguin's writings — is reproduced here from a rare early edition (1919), in a lucid translation capturing the artist's unpretentious style. Page after page reveals Gauguin's keen observations of Tahiti and its people, and his passionate struggle to achieve the inner harmony he expressed so profoundly on canvas. Gauguin's prose is as seductive as his paintings, filled with descriptions of warm seas, hidden lagoons, lush green forests, and beautiful Maori women.The journal is captivating reading, offering a compelling autobiographical fragment of the soul of a genius and a rare glimpse of Oceanian culture. 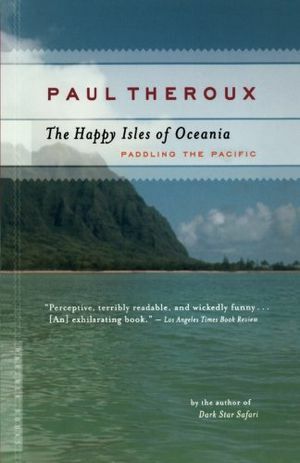 The brief periods of happiness Gauguin found among the Tahitians are eloquently expressed in his narrative. We understand the motives that drove him and gain a deeper appreciation of his art.Today the manuscript provides unparalleled insight into Gauguin's thoughts as he strove to achieve spiritual peace, and into the wellsprings of a singular artistic style which changed the course of modern art. This wonderfully affordable edition — enhanced by 24 of Gauguin's South Seas drawings — makes a unique and passionate testament accessible to all art lovers. 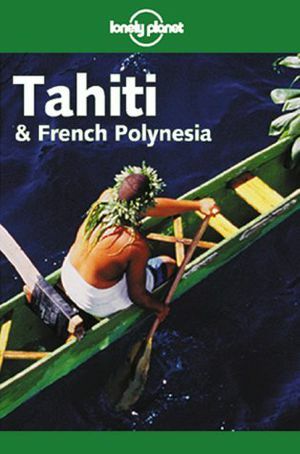 Contains information on all the archipelagos; fully updated maps, showing 4WD tracks, walking routes and dive sites; historical background, from the Bounty muntineers to the controversial French nuclear-testing program; comprehensive coverage of the Polynesian, French and Asian cuisine; and a Tahitian and French language guide. Oceania is characterized by thousands of islands and archipelagoes amidst the vast expanse of the Pacific. Although it is one of the few truly oceanic habitats occupied permanently by humankind, surprisingly little research has been done on the maritime dimension of Pacific history. The People of the Sea attempts to fill this gap by combining neglected historical and scientific material to provide the first synthetic study of ocean-people interaction in the region from 1770 to 1870. It emphasizes Pacific Islanders' varied and evolving relationships with the sea during a crucial transitional era following sustained European contact. 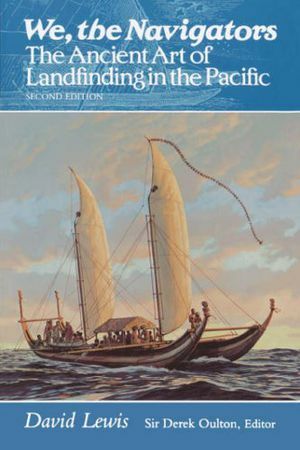 Countering the dominant paradigms of recent Pacific Islands' historiography, which tend to limit understanding of the sea's importance, this volume emphasizes the flux in the maritime environment and how it instilled an expectation and openness toward outside influences and the rapidity with which cultural change could occur in relations between various Islander groups. The author constructs an extended and detailed conceptual framework to examine the ways in which the sea has framed and shaped Islander societies. 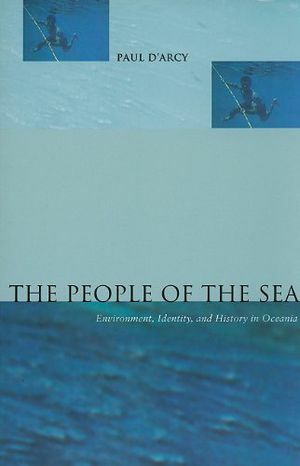 He looks closely at Islanders' diverse responses to their ocean environment, including the sea in daily life; sea travel and its infrastructure; maritime boundaries; protecting and contesting marine tenure; attitudes to unheralded seaborne arrivals; and conceptions of the world beyond the horizon and the willingness to voyage. He concludes by using this framework to reconsider the influence of the sea on historical processes in Oceania from 1770 to the present and discusses the implications of his findings for Pacific studies. 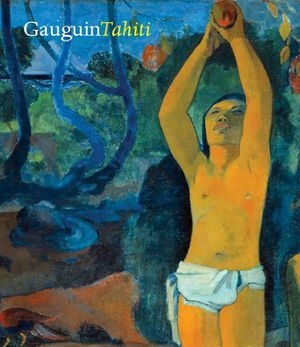 Now in paperback, Gauguin Tahiti offers an in-depth study of the fabled Polynesian years that have so defined our image of the painter. 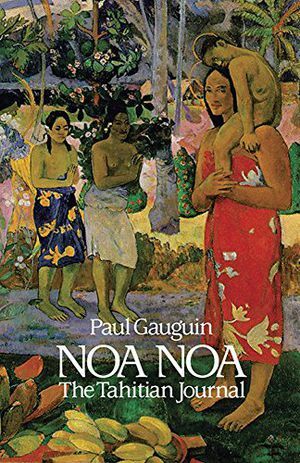 Alongside essays on every aspect of Gauguin's art, from the legendary canvases to his sculptures, ceramics and innovative graphic works, are discussions of the Polynesian society, culture and religion that helped shape them; an in-depth biographical narrative, with the many epiphanies, frustrations and discoveries that make his time in the South Seas one of the most mythologically potent episodes in Western art; and a chronicle of his changing fortunes in the century since his death. At the center of it all is Gauguin's 1897 masterpiece, "Where Do We Come From? What Are We? Where Are We Going?," the crowning glory of his mature career, presented with unprecedented depth and authority. Over 100 years later, Gauguin remains one of the most enigmatic and attractive figures of nineteenth-century art, the very pivot of modernism, and Gauguin Tahiti portrays this crucial period of his life in all its color and drama. Of the hardback edition, John Richardson wrote in Vanity Fair: "This excellent catalogue sets the record straight." And writing in the New York Observer, Hilton Kramer declared it, "the most exhaustive account of the period that has ever been attempted in a single survey... well-written, scrupulously documented, and lavishly illustrated." Now a major motion picture, Kon-Tiki is the record of Thor Heyerdahl’s astonishing three-month voyage across the Pacific.Kon-Tiki is the record of an astonishing adventure—a journey of 4,300 nautical miles across the Pacific Ocean by raft. Intrigued by Polynesian folklore, biologist Thor Heyerdahl suspected that the South Sea Islands had been settled by an ancient race from thousands of miles to the east, led by a mythical hero, Kon-Tiki. He decided to prove his theory by duplicating the legendary voyage. On April 28, 1947, Heyerdahl and five other adventurers sailed from Peru on a balsa log raft. After three months on the open sea, encountering raging storms, whales, and sharks, they sighted land—the Polynesian island of Puka Puka. 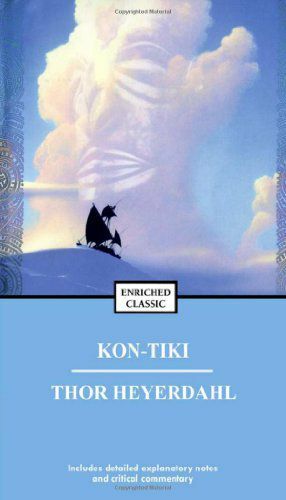 Translated into sixty-five languages, Kon-Tiki is a classic, inspiring tale of daring and courage—a magnificent saga of men against the sea. 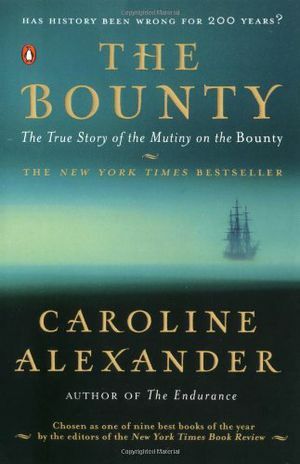 This edition includes a foreword by the author and a unique visual essay of the voyage. This new edition includes a discussion of theories about traditional methods of navigation developed during recent decades, the story of the renaissance of star navigation throughout the Pacific, and material about navigation systems in Indonesia, Siberia, and the Indian Ocean. In the South Seas records Stevenson's travels with his wife Fanny and their family in the Marquesas, the Paumotus and the Gilbert Islands during 1888-9. Originally drafted in journal form while Stevenson travelled, it was then ambitiously rewrittento describe the islands and islanders as well as Stevenson's own personal experiences. 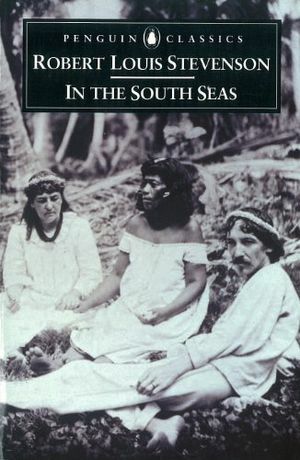 In the South Seas was published posthumously in 1896. Its combination of personal anecdote and historical account, of autobiography and anthropology, of Stevenson and South Sea Islands, has a particular charm.For more than seventy years, Penguin has been the leading publisher of classic literature in the English-speaking world. With more than 1,700 titles, Penguin Classics represents a global bookshelf of the best works throughout history and across genres and disciplines. Readers trust the series to provide authoritative texts enhanced by introductions and notes by distinguished scholars and contemporary authors, as well as up-to-date translations by award-winning translators. In The Fragile Edge, the documentary filmmaker and deep-sea diver Julia Whitty paints a mesmerizing, scientifically rich portrait of teeming coral reefs and sea life in the South Pacific. She takes us literally beneath the surface of the usual travel narrative, in an underwater equivalent of an African big-game safari. Hammerhead sharks rule a cascading chain of extraordinary creatures, from eagle rays to reef sharks, as the sound of courting humpback whales reverberates through the deep. Inspiring for both armchair and expert divers, The Fragile Edge reveals how science can extend our understanding of unfathomable waters, opening our eyes to the threats facing coral reefs and explaining why these fragile oases are vital to human survival. 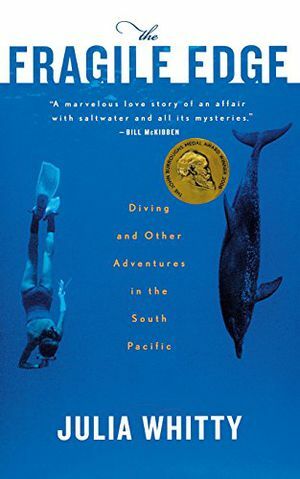 In this passionate, spiritual narrative of her adventures in the big blue, Julia Whitty emerges as one of our finest writers on the mystery, beauty, and fragility of the undersea world. 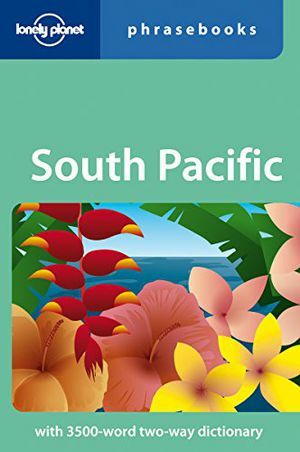 Tales of the South Pacific is the iconic, Pulitzer Prize–winning masterpiece that inspired a Broadway classic and launched the career of James A. Michener, one of America’s most beloved storytellers. 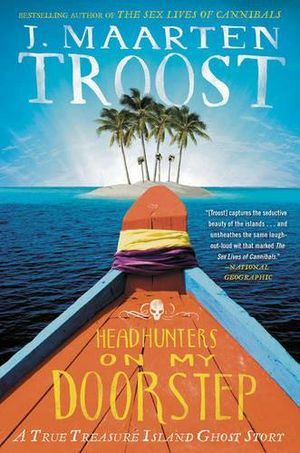 This thrilling work invites the reader to enter the exotic world of the South Pacific and luxuriate in the endless ocean, the coconut palms, the waves breaking into spray against the reefs, the full moon rising behind the volcanoes. And yet here also are the men and women caught up in the heady drama of World War II: the young Marine who falls for a beautiful Tonkinese girl; the Navy nurse whose prejudices are challenged by a French aristocrat; and all the soldiers and sailors preparing for war against the seemingly peaceful backdrop of a tropical paradise. Praise for James A. Michener and Tales of the South Pacific “Truly one of the most remarkable books to come out of [World War II] . . . Michener is a born storyteller.”—The New York Times “Riveting and emotional . . . Ever since James Michener wrote Tales of the South Pacific, the dreamers among us have been searching for our own Bali Ha’i.”—The Washington Post “Atmospheric . 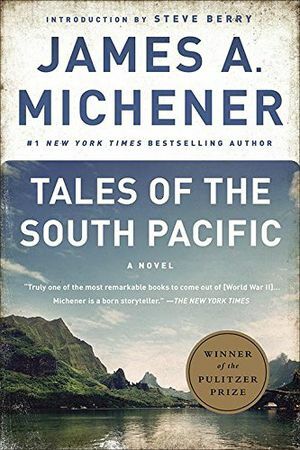 . . [Tales of the South Pacific marks] the beginning of Michener’s long exploration of what happens when cultures connect, or fail to.”—Los Angeles Times “Few writers changed the face of American fiction as profoundly as did James Michener.”—San Francisco ChronicleFrom the Paperback edition. 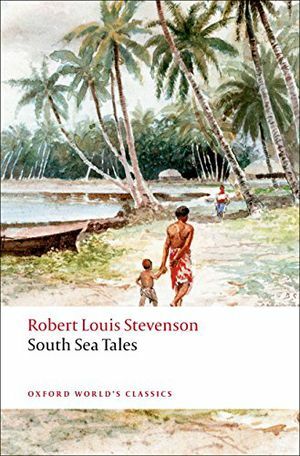 In South Sea Tales Stevenson shows himself to be a virtuoso of narrative styles. But beyond their generic diversity the stories are linked by their concern with representing the multiracial society of which their author had become a member. In this collection--the first to bring together all his shorter Pacific fiction in one volume--Stevenson emerges as a witness both to the cross-cultural encounters of nineteenth-century imperialism and to the creation of the global culture which characterizes the post-colonial world.About the Series: For over 100 years Oxford World's Classics has made available the broadest spectrum of literature from around the globe. Each affordable volume reflects Oxford's commitment to scholarship, providing the most accurate text plus a wealth of other valuable features, including expert introductions by leading authorities, voluminous notes to clarify the text, up-to-date bibliographies for further study, and much more. The Indo-Pacific region is the dream destination for all SCUBA divers and snorkellers. The coral reefs in this region are bursting with marine life and are home to more animal species than any other diving spot in the world – more than 40 per cent of all coral reef fishes known worldwide. Added to this, the waters are crystal-clear, giving the best chance of viewing the underwater stars. Top-quality, close-up photographs of each species (in some cases including juvenile or sub-adult variants) are accompanied by detailed information listing identifying features, size, biology and distribution. The introductory section focuses on specific types of behaviour, such as mimicry, cleaning stations and the symbiotic relationships between various species. The species descriptions that follow are grouped in three chapters on fishes, invertebrates, and reptiles and sea mammals. 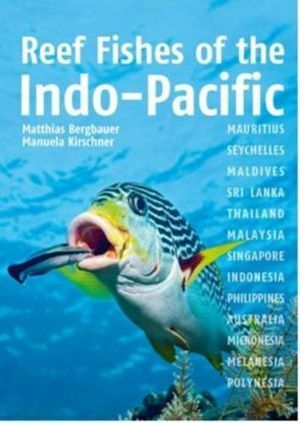 Covering Mauritius, Seychelles, the Maldives, Sri Lanka, Thailand, Malaysia, Indonesia, the Philippines, Australia, Micronesia, Melanesia and Polynesia and describing over 800 species, this book is an invaluable identification guide. This is the first field guide to the identification of the birds of the islands of the tropical Pacific, including the Hawaiian Islands, Fiji, Samoa, Tonga, southeastern Polynesia, and Micronesia. It is intended both as a reference for the expert and as an introduction to birding in the region for the novice. Small enough to be carried afield, it contains much previously unpublished information about behavior, vocalizations, ecology, and distribution. The forty-five color plates depict all plumages of all bird species that breed in the islands, as well as of those that regularly visit them and the surrounding oceans, and of most species believed to be extinct on the islands. 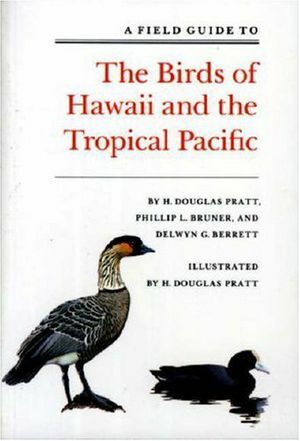 Black-and-white figures show many of the rarer visitors.Introductory sections discuss the tropical Pacific as an environment for birds, problems of birding on islands, and bird conservation. Appendixes include maps of the island groups and a thorough bibliography. 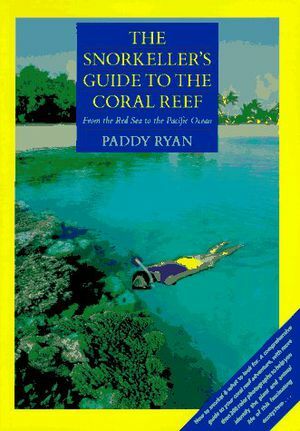 The South Pacific has long been in need of a comprehensive guide to reef and shore fishes. 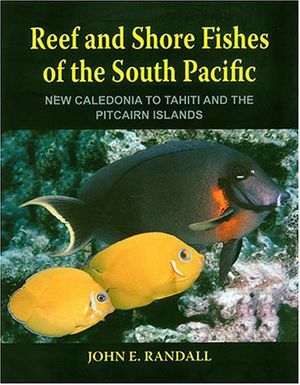 This volume covers the inshore fish fauna of New Caledonia, the Loyalty Islands, the southern Gilbert Islands (Kiribati), Tuvalu, Fiji, the Wallis Islands, Tonga, Samoa, American Samoa, the Tokelau Islands, the Phoenix Islands, the Cook Islands, the Austral Islands, Rapa, the Society Islands, the Tuamoto Archipelago, the Marquesas Islands, and the Pitcairn Islands. It contains accounts of nearly 1,500 species of fishes, illustrated with more than 2,000 color photographs, taken mostly underwater. (A few drab species are illustrated by only black and white photographs or drawings.) Species accounts are headed by the English common name, the scientific name, the author or authors who described the fish, and the date of the description. This is followed by a concise list of the characteristics needed to identify the species, the total length it attains, its distribution, habitat, and in summary form what may be known of its biology. More than 600 references are given for those seeking more information on individual species. The introduction contains a two-page color spread of the main external features of fishes. An extensive glossary of scientific terms precedes the index. Air included from Los Angeles (Economy Class). 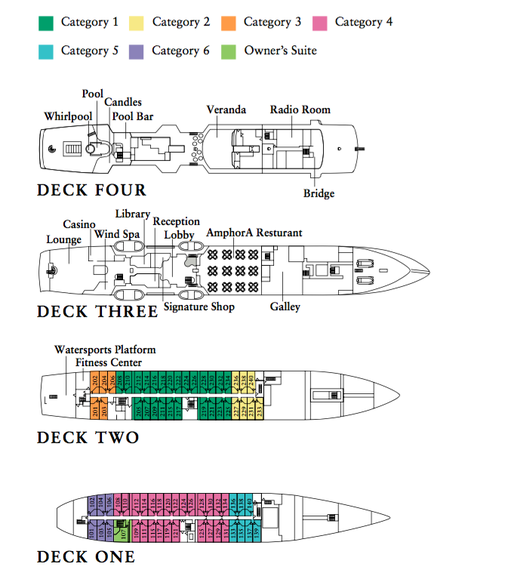 All alcoholic and non-alcoholic drinks included throughout the cruise. Gratuities to local guides, ship staff, and drivers. Any optional excursions are available at additional cost. Additional flights to/from Los Angeles. Communication charges (e.g phone, Internet, etc). Optional Bora Bora Shark and Ray Lagoon Cruise excursion are available at an additional cost. Optional Travelers’ Protection Plan: Unexpected events before or during a trip may leave you with cancelled plans, lost luggage, or unforeseen medical expenses. This optional plan offers an affordable package of benefits and services that can provide coverage and assistance for the unexpected. Visit TravelGuard.com/SmithsonianJourneys to learn more.